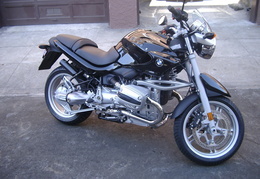 the BMWR1150R Well, honestly, it was Rat Pfink a Go Go that got me into BMW motorcycles. 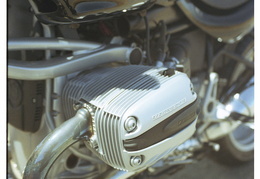 I loved the look of the opposed engine and the classic airheads definitely drew my attention. 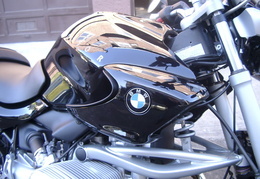 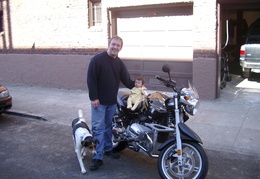 When my Yamaha fizzled in late 2000 (just as I was leaving my job) a replacement bike had to be put on hold. 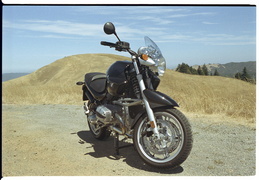 flash-forward two years, I've got a new job and some income that allows me to get a new bike - shopping around I realized that the base-model R bike was only a little more expensive than the average Japanese bike. 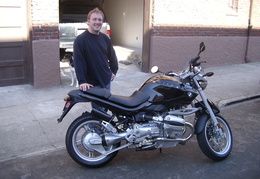 So, I clunked down a piece of change at the local BMW shop and this big pig was mine. 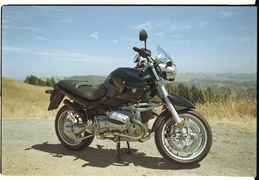 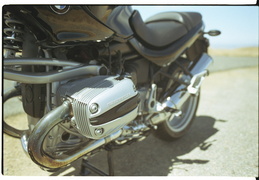 Here's a few shots of when I first got the bike and a few weeks later riding along Marin County.